After the Grenfell Tower fire incident, many people tried to do something to help the victims. 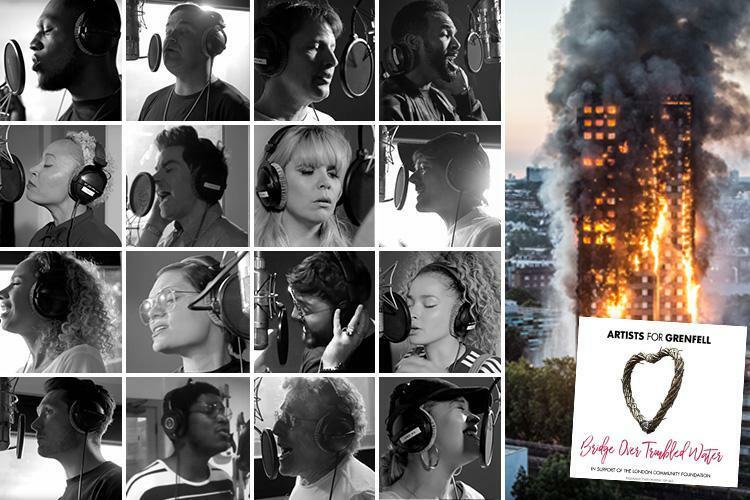 Simon Cowell brought together over 50 artists for the Grenfell Tower charity single. Even though it is not possible to completely compensate the affected families for their loss, profits from the song have helped some them to get back on their feet after the loss of their property and family. Newman, EmeliSande, Brian May, One Direction, Pixie Lott, and Jessie J are some of the artists who volunteered their time to record for the fundraising song, ‘Bridge Over Troubled Water’. The aim of the song is to collect funds to help victims of the tragic Grenfell Tower fire. Simon Cowell was surprisingly able to get the single together in only three days. The song is a cover of Simon & Garfunkel’s song that was released in 1970. In the charity song version, there are new raps and artists sing different lines of the song. A choir of about 300 people is in the single too. Gareth Malone of Pitch Battle’s leads the choir. Shortly after its release, the song topped the UK Singles Chart. It appeals to many people because of the variety of voices and its compassionate message. The song is available on iTunes and fans can make their contributions to the website. Simon Cowell donated €100K to help the fire victims. Proceeds from the single go to The London Community Foundation. Aside from its poignant message, the video includes shots of people trying to comfort and hug each other after the incident. It also shows messages of hope to families that lost their loved ones and pays tribute to those who lost their lives. The video is just as emotional as the lyrics of the song. The 300 locals who take part in the song appear very touching and emotional. In the moment of mixed emotions including anger, shock, panic, and fear, the song brought a positive side to the story. The song does not only help to raise funds. It also helps in creating awareness. It helps the rest of the world to get a feel of the emotions in London and the entire UK after the incident. It is the kind of song that sticks on your head so you will remember the Grenfell Tower often. The aim is not to cause despair or make things even more hurtful. Instead, the song gives listeners and viewers a sense of hope and a chance for a new beginning even after the unfortunate incident. The song is more than just a group of famous people singing together. It accurately captures the emotions of the locals and represents their feelings. The musicians share in the sorrow of the community and use their wonderful voices to express it. The charity song is just one of the many ways has been used to offer help to the victims of the fire incident. Other people, famous or not, offered various forms of financial, emotional, or physical support. Others still continue to help.